I previously sent pictures of the infant stimulation room I use for physical therapy with the children here at the home. I am blessed to have such a great space to be able to work with the children. There are several toys and a floor mat so I can play with the kids. The only problem is it didn’t really work as a place for me work if I was going to help the staff at the home. As I was praying the other morning I really wanted to be able to bless the staff as a physical therapist. So many of them have back, neck, shoulder and other problems. Since the infant stimulation room wouldn’t work, I needed a place I could work with them. I have tried using a bed before but it is really too soft and too low to be of much help for a PT session without creating my own back problem. As I prayed about the situation I thought of the first cabin. If you remember from my previous posts, we are staying in the second of two cabins that are conected by an open air seating area. They are used by short term teams that come to work at the home. Since we are currently the only team here the first cabin was entirely open. Saturday morning I spent some time working around the first cabin to create a place to work with the staff. I cleaned it up and then stacked a couple of the bed frames on top of each other to create a makeshift plinth. I then set up some chairs, found a few pillows and towels and I had a PT clinic for the staff. The bed was a little wobbly but it was secure and looked like it would work. All ready for my first patients on Monday afternoon! This afternoon was my first PT clinic for the staff. I was able to help a few of the staff when God had another surprise for me. The last person I worked with today mentioned that there was a massage therapist that has come down several times and she had a table here at the home. We located that table so now I have a really nice plinth to use! No more wobbly bed. The clinic may be basic but it has what I need to be able to bless the staff. So now my 3 days a week of physical therapy can benefit the staff and the kids! See a picture of the “second” clinic below. 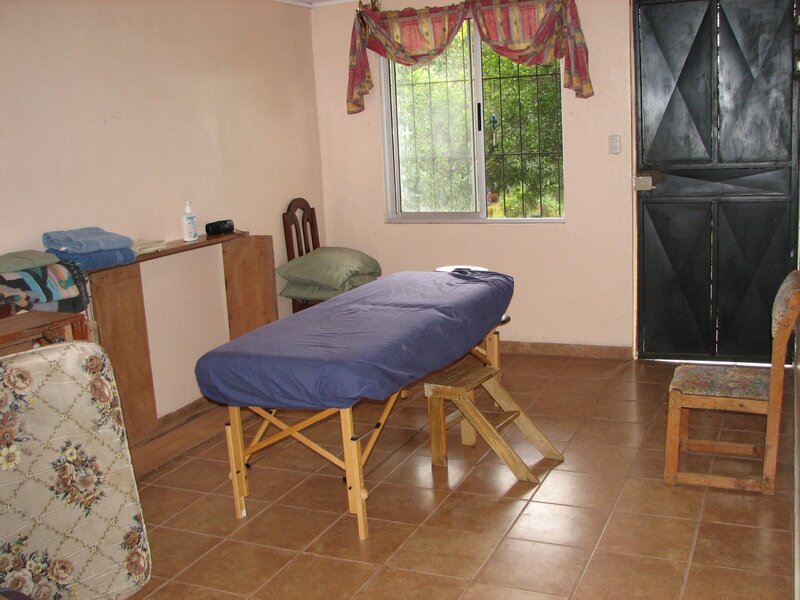 This entry was posted in Costa Rica, Matt's Thoughts and tagged physical therapy, plinth. Bookmark the permalink.